What Is Kindle Sniper? Legit or Scam? An Honest Review! Another product claiming you can make over $1000 per day from a secret website! Kindle Sniper claims to show you how to write and sell ebooks with Amazon Kindle Publishing, without writing a word of it yourself. Sounds amazing, doesn’t it? But what is Kindle Sniper? Is it legit or scam? You may have seen this promo video online somewhere or checked it out on Clickbank. The platform, Clickbank, offers many products for purchase, either to use personally or for promotion through affiliate links. Because it’s fairly easy for people to develop products like Kdl Sniper, they make their money by selling it on platforms like Clickbank. Unfortunately, many of them aren’t legitimate. And they certainly don’t provide what they offer in their promotional videos. Is Kdl Sniper any different? What is Kindle Sniper and what it can do for you. My recommendation for making an honest income. If you’re looking to make extra money with a tried and true method, please click here! 1 What Is Kindle Sniper? Kindle Sniper (kdlsniper.com) is a system that claims it can make you over $1000 per day. The alleged owner, Martin Price, says he found this “secret” forum where the members were talking about making thousands of dollars by self-publishing online. He begins by telling you his whole life story, which of course is an attempt to seek an emotional connection with you. He claims to have failed many times to publish his book, then finds this secret forum which saves his life. He says he’s developed a system to sell ebooks on Amazon’s Kindle Direct Publishing, and not having to write a single word yourself. He claims to have done all the work for you so now you only have to spend 10 minutes per day, and earn thousands. He also claims to have made approximately $200 thousand in 6 months and gives similar testimonials from some of his customers. You don’t need any previous experience and the system can be implemented in minutes. I found the promotional video to be exactly as I expected. The narrator gives you his story about how he developed this system. He now wants to share this secret website with you, to help you out of your misery. He offers his “proof” and tries to get you excited. But so far, this is just sounding like another “get-rich-quick” scheme. I suppose if someone has no experience with online marketing, and is needing financial help, this can sound like the very thing they need. And unfortunately, too many people are falling for the scam. Please, continue reading before you consider buying this product. OK, so from the promo video, you should be expecting to get a “system” all laid out for you. If it only takes minutes to set up, then it should be a website or a sales funnel page already designed for you. All you need to do is set it up with your personal information. Enter info here….click here…and voila, you’re done! Guess what? Yup, he lied! After you’ve parted with your hard-earned cash, you’re brought to the Kdl member’s area. All you see is a download button for your main guide. A PDF to be precise. Just below that, there’s a “get your free commission website” offer. Where’s the system? Another offer? The “system” you’ve just paid for is a 72 page PDF, with 18 chapters about niche and research selection, creating a title, cover design, publishing to Amazon Kindle Publishing, getting reviews, and so on. So far this is all very generic information and nothing at all special. Certainly no secret to making thousands per day. The “secret website” he’s talking about is Amazon. Not very secret is it? People have been successfully publishing with Amazon Kindle for years, and like anything worthwhile, it takes time and effort. The narrator tells you about ghostwriters, who will write what you want and you get the credit. Yes, this is real. Many marketers employ ghostwriters to write their content. It’s a valuable time saver. But can you do it in 10 minutes per day to make thousands? NO. So, that’s all you get. A PDF guide, probably written by someone else (ironic isn’t it), and nothing at all what he promised in his video. Because I have experience with online marketing, immediately flags were waving everywhere. I understand the concept of having a promo video, but the proof he gave could be so easily fabricated. The more he spoke, the scammier it got. It reminded me of some MLM (multi-level marketing) meetings I have attended in the past. They have a great way of riling you up and getting you excited, designed to get you to sign right then and there. It’s the same with this video. He’s counting on you believing everything he has to say so you will click the “Start Now” button. And because there are so many people unfamiliar with this type of tactic, he’s getting rich by lying to people. The first lady who speaks says she’s a mother of 3, who struggles to get by on her nurse’s salary. She tries the system and suddenly her life is changed. She’s making over a thousand a week and can now take her kids on vacation. The second gentleman speaks about how quickly this system works for him. He’s now making over $35 thousand a month by only doing a little admin on his computer each morning. These are outright lies. These people are paid actors, who you can hire on Fiverr, to do promotional videos. Fiverr is a freelance marketplace, where you can find someone to perform a task for you. Including ghostwriting by the way. The alleged owner, Martin Price, is also most likely fake. Many of these scams use fictitious names. Notice how he never appears in the video? You would think that if this person is making this much money with his secret system, there would be articles about his success online. But when searching everywhere to find him, I couldn’t. All very suspicious. There are actually people who make money like this, but not without a lot of time and effort. They have spent years perfecting their online marketing campaigns and deserve to earn this kind of money. You will not earn it quickly with Kindle Sniper, I promise you that. This is very misleading. The information you get in his guide is just general marketing information, as well as information about Amazon publishing. And I can’t believe he called Amazon his secret website. Sheesh! The information you bought can be found in any number of places online. 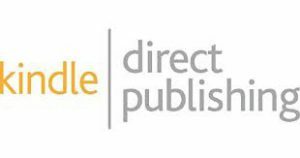 Kindle Direct Publishing themselves, gives you all the information and help you need to publish your own ebook, for free! And as I said before, you can find ghostwriters on freelance sites like Fiverr. The success stories he shares cannot be proved. It’s actually laughable. He spits out names and gives you an amount they supposedly earned. Really?? They’re just numbers on a page. Below are his “test results” when he supposedly gave away his system to 20 people for free, for testing purposes. There’s nothing more frustrating to me that when people aren’t transparent about their prices. There was no mention of any upsells in his offer. In fact, he explicitly says there is no recurring billing or hidden costs. But as soon as you get to your member page, you’re shown an opportunity to get your own free commission website. Why do you need a website if you’re setting up directly on Amazon? As an online marketer, I know the value of owning your own website. And if you want to sell your own books, this is a professional way to go about it. So I clicked on the link. No surprise… it wasn’t free at all. You are directed to CoolHandle.com, a web hosting company, and encouraged to sign up for a 2-year package. Sure, your website is free, but only if you pay for the domain and hosting services. Most hosting sites offer free website building features. And personally, I had never heard of Coolhandle. My first recommendation is to RUN! This system is not what it claims and you’ll be very disappointed. It’s definitely a scam. I don’t use that word lightly. But because it doesn’t deliver what it promises, I can safely say scam. You do get a PDF document for your purchase, but it’s low-quality and not worth the money. Amazon, on the other hand, is, in fact, a very good way to self-publish. Amazon themselves will help you more than this PDF will. I get so frustrated with these dishonest people who are making money off of unsuspecting individuals. There are so many struggling people who are looking for a means of earning income. And when they feel desperate, they fall for scams like these. But of course, this is why these unsavoury types do this. They know they can make massive amounts of money by taking advantage of people. If you sincerely want to make money online, then affiliate marketing is an excellent way to create your own business and create an income. Even a passive income. When you’ve worked hard and have created a business with authority, you’ll find that you can maintain it with little work and still have an income coming in. But not overnight as Kindle Sniper suggests. Nothing of value comes that quickly. It takes time and effort. The narrator in the promo video said that other methods of earning money online were saturated and didn’t work anymore. He couldn’t be further from the truth. There’s no better time than now to learn about affiliate marketing, blogging, video courses, etc. As more and more people have access to the internet, your potential audience is massive. And if you’re interested in online marketing, I can recommend the perfect platform for you to learn all about it. And I can honestly say it’s free to start. They don’t promise you things they can’t deliver. They are open and honest about what they offer. It has worked for me, and so many others. Don’t let scams like Kindle Sniper scare you away from earning an online income. It can be done with the proper training and support. And I’ll be there for you also! Have you been scammed before? I’m sorry if you have. Please share your experience below. I’d love to hear from you. And please share this blog with your friends. ← What Is An Online Virtual Assistant? Do They Really Help? I’m glad that you are putting this out to the public. I hate to see people getting taken advantage of and people like this should have to be made to pay for it. There were times that I’ve bought things before that were supposed to be a certain way and come to find out it was just a lie to get your money. I wish there was a way to stop people like this, don’t you? Hi Fred, and Hanks for commenting. Like you, I wish we could do more. But writing reviews and posting them online is a start. If there are enough reviews, exposing the truth, it not only informs people before buying, but it eventually catches up to them. The FTC has been known to take businesses down. So at least that’s positive. I am glad to have read it and now know how to be careful about this product. Yes, I had heard of it! The one thing that surprised me is the Fiverr actors!! I wasn’t aware of this service, and yes, it makes sense! Wow – how easy it is to make a scam nowadays! You’re one of the few who have heard of this, and I’m glad you didn’t fall for it. The video sounds very enticing doesn’t it? Yes, you can find someone to do almost anything, even lie. And I’m sure they’re kept very busy considering how many scams there are online. Thanks for your comment. If you know anyone else who’s looking at this product, please share my post with them. Yes Suzanne I am with you. Anyone who comes along and gives you a big spiel about doing very little work and making a ton of money – well I want to run fast as I can! People know right away if your content is authentic. This sounds like a good way to get into trouble! Hi Wayne, and thanks for commenting. It does sound too good to be true doesn’t it. Yet so many people fall for it. It would be nice to make money like this with very little work, but it’s just not possible. Anything worthwhile takes time and effort. I just hope most people can see right through these scams. Scams are so infuriating. They hurt vulnerable people, especially when they are down or just new and learning. Thank you for investigating and sharing your review. I agree with you. It’s so maddening to see people make money off of vulnerable people. That’s why we need reviews like this. Hopefully people do some research before jumping in, and find our reviews showing them the truth. Great and informative review! I had not heard of Kindle Sniper prior to this and at first, it does sound really intriguing to try. I am glad I was able to read this and know what it really is! There are so many of these scams popping up everywhere. And unfortunately many people are getting disappointed. At least it didn’t cost thousands of dollars! But even a small amount can be much for some who are desperately looking to make money. My rule of thumb is if it sounds too good to be true, it probably is. If you know anyone who’s talking about Kindle Sniper, please share my post. Hi! Great site! Very informative and an eye opener. Hi Michael and thanks for commenting. I’m happy I can reveal some of these scams out there. If I can help just one person avoid disappointment, then I’m happy. These days a person has to do lots of research before jumping into something. I know it’s hard when the video gets you all excited, but that’s what they’re hoping you’ll do. I can only hope the refund policy with Clickbank is easy, lol. Wow, very interesting stuff here! It boggles my mind to learn about how easily some people can bamboozle others without any qualms! Unfortunately there’s a lot of bad mixed in with the good. We just need to help each other out by pointing out the bad. The internet is such an awesome place to earn an income, but we need to make sure we research and find legitimate opportunities. If you haven’t tried Wealthy Affiliate yet, please do. I can vouche for its honesty and effectiveness. Thank you Suzanne for this really interesting review and for pointing out that Kdl Sniper is a scam. Wow – how can these people get away with it. I love the fact that you have called out the fake testimonials as well. I think you could spot that from the bad acting as well to be honest, because real people just don’t talk like that – LOL. Your advice is really valuable and I hope it saves a lot of people a lot of money. On the flip side, I can totally agree with you that there are some great training sites out there and the one you recommend, Wealthy Affiliate, I have used to build my own online business too. Great work saving the people!! Thank you. I think we all need to help each other point out the scams. Some people might argue its not a scam because you get something, but in my opinion, it’s nothing at all like what he promises in his video. And even though these actors are doing a legitimate service, its frustrating that they need to lie to get jobs. But at least it’s easy to prove the lie! I’m glad you’re a member of Wealthy Affiliate.